Provide a safer environment for your children and avoid the toxins found in so many common, everyday products. Choose safer, non-toxic, all natural cloth diaper cover products instead! Compare and shop for natural cloth diaper covers or... find out how safe your child's diaper cover is with our product ingredient reviews. Protect your little ones and the environment from toxic overload! Keep your baby comfortable with natural cloth diaper cover products! Choose natural cloth diapers for the health of your child and our environment! From birth to toilet training, a baby goes through an average of 8000 diaper changes! This sheer volume of diapers makes one thing clear: The choice of diapering products and diapers (cloth vs. disposable) has a tremendous impact on the welfare of your baby and the planet! Disposable diapers use 1.3 million tons of wood pulp (a quarter-million trees) each year, along with plastics, which are made from petroleum resources. Disposable diapers consist of a plastic exterior, an inner super-absorbent layer treated with chemicals, and a liner. One commonly used absorbent chemical, sodium polyacrylate, can trigger allergic reactions. Disposable diapers may also contain dyes and dioxin. You won't find dioxin listed on any label. It's formed as an accidental by-product of some manufacturing processes using chlorine, especially paper bleaching and the creation of plastic. Dioxin is one of the most powerful carcinogens known and accumulates in body fat! A study conducted by Anderson Laboratories in 1999 and published in the Archives of Environmental Health found that disposable diapers release volatile organic chemicals (VOCs), including toluene, ethylbenzene, xylene and dipentene. All of these VOCs have been shown to have toxic health effects, such as cancer and brain damage, with long-term or high level exposure. How long does a baby wear a diaper? Usually 24 hours a day! The authors suggested that disposable diapers may cause "asthma-like" reactions and urged more study into a possible link between diaper emissions and asthma. In addition, children have roughly double the skin surface of adults per unit of body weight, so a child can absorb proportionally more chemicals. Adult skin absorbs up to 60% of the ingredients (including the synthetic and toxic chemicals) found in the personal care products used on a daily basis. Imagine the impact on your child's skin and health! Organically grown, unbleached cotton diapers offer the healthiest, environmentally friendly option. If busy lives demand disposables, you can use disposable diaper liners, which mean that you won't have to soak the diapers before washing. Diaper liners are usually available where cloth diapers are sold. You can also turn to environmentally-friendly disposable diapers. Keep it simple and safe with all Natural Cloth Diaper Products for your child's diapering needs! 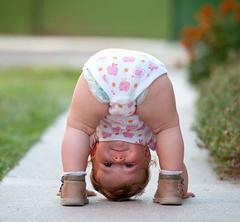 Choose Organic Cloth Diaper Products, because your children ARE worth it!